STEP has been described as “the most innovative intervention for raising achievement levels in children whose academic performance is in the lower quartile of the classroom”. It is a unique programme that enhances the traditional interventions that we already offer to our schools such as numeracy, literacy, behaviour and 1-2-1 support. STEP tackles the physical barriers to learning that are faced by many young people, enabling them to access quality teaching and learning that is already in place. By supporting young people with many of the learning skills they need to tackle low attainment as well as providing specialist support staff, we believe we are uniquely positioned in the sector. Outcomes data from the 2016 STEP pilot programme. Our Raising Attainment strategy is focused on improving the life chances of young people in primary, secondary and SEND schools. It supports young people to make good progress and develop the skills, ambition and know-how they need to improve their life chances. We believe that STEP is the key to achieving this, and that’s why we’ve partnered with them. We work closely with schools to recruit a wide range of specialist support staff to ensure every pupil has the same opportunity to succeed, with a particular focus on closing the poverty-related attainment gap. Early interventions and appropriate support raise attainment and give pupils confidence and skills to learn. We have worked closely with our team of clients and experienced school leaders to identify the types of specialist support staff who can make a difference. Find out more about STEP! We run a personal service, all free, just let us know how to reach you and we can discuss your needs. Let us know time(s) that suit and our STEP Development Partner will be in touch to discuss next steps. 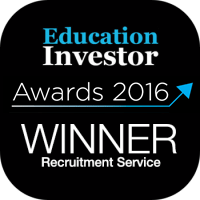 Engage are at the forefront of working closely with schools to recruit specialist support staff. We actively recruit specialist support staff who have proven skills and backgrounds that will impact pupil progress and raise levels of attainment. Our in-house team of experienced senior leaders work closely with our support staff to enhance their skills through a wide range of professional development programmes. Engage are able to recruit and professionally develop support staff who not only make a difference in the classroom but are hand-picked and comprehensively trained to deliver the STEP programme. We strongly believe that the STEP Programme is a way of empowering classroom assistants to have a direct impact on pupil attainment and development. Book a free consultation call today, our STEP Development Partner will discuss next steps. 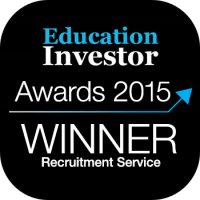 Engage Education is proud to have won several awards for our outstanding service. © 2014-2019 Engage Partners Limited "trading as Engage Education". Meridien House, 69-71 Clarendon Road, Watford, WD17 1DS. All Rights Reserved.